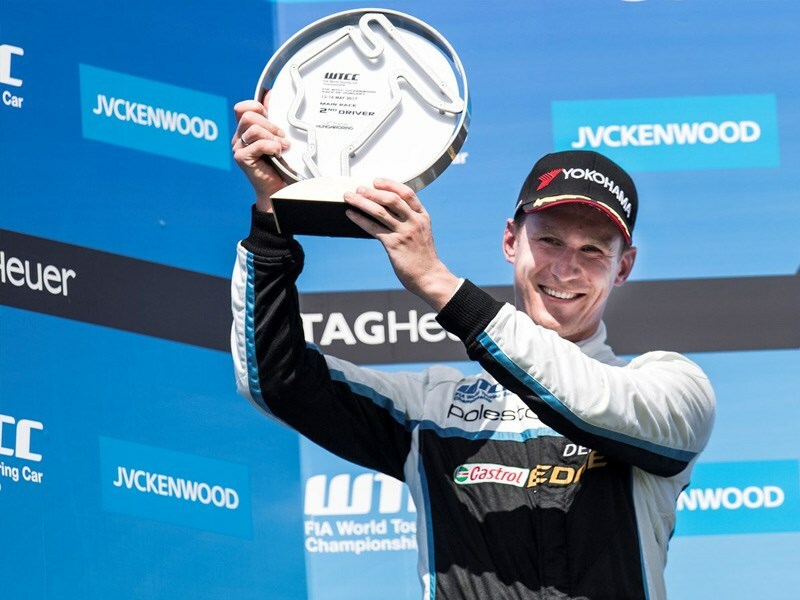 Prince Carl Philip will be joined by Polestar Cyan Racing’s Dutch WTCC star, Nicky Catsburg for the penultimate Swedish GT round at the former F1 circuit, Anderstorp, this weekend. The previous race weekend at Karlskoga saw Prince Carl Philip securing a victory and podium finish, elevating him to third, just six points from championship leaders and Ferrari drivers, Fredrik Larsson and Ingvar Mattsson. ”Karlskoga was our best weekend so far this year and it feels good to have that with us going to Anderstorp. We will have to fight harder than ever this weekend but I am up for it and I am glad to have Nicky on-board. He is a very fast driver and hopefully we can stand on the podium together,” said Prince Carl Philip. Anderstorp is one of the fastest circuits in Sweden and will potentially be one of the toughest race weekends of the calendar for Polestar Cyan Racing. ”There are always a few particularly difficult rounds during a season and this is one of them as, due to the current regulations, we have competitors with several hundred horse powers more than us. Nonetheless, we will fight hard to secure as many points as possible to create strong position for the season finale,” said Alexander Murdzevski Schedvin, Head of Motorsport at Polestar.